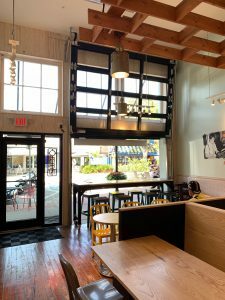 Offering a modern twist on traditional Mexican favorites, Poppo’s Taqueria, located on Main Street in downtown Sarasota, combines fresh ingredients, strong flavors and a passionate application of skill to fulfill one’s Taco Tuesday desires. 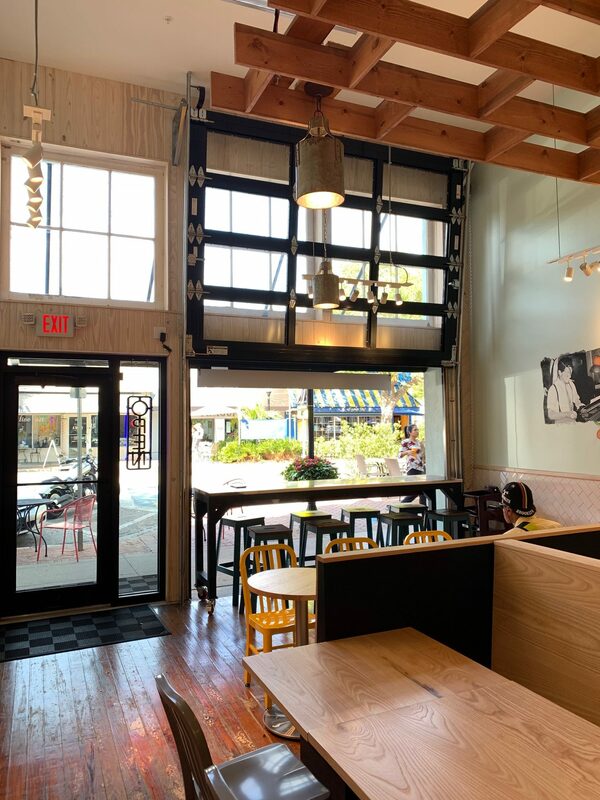 The restaurant, with additional locations in Bradenton and Anna Maria Island, traces its roots back to the street food of San Francisco’s Mission District — known for its famously authentic Mexican street food. Entering from Main Street, patrons first notice Poppo’s extensive outdoor seating possibilities and open storefront, ultimately contributing to the generally comfortable and casual vibe of the restaurant. The industrial and clean aesthetic of the restaurant’s interior is like that of most modern Mexican food joints — nothing too original, yet still compelling, fostering a sense of familiarity and ease for hungry customers. 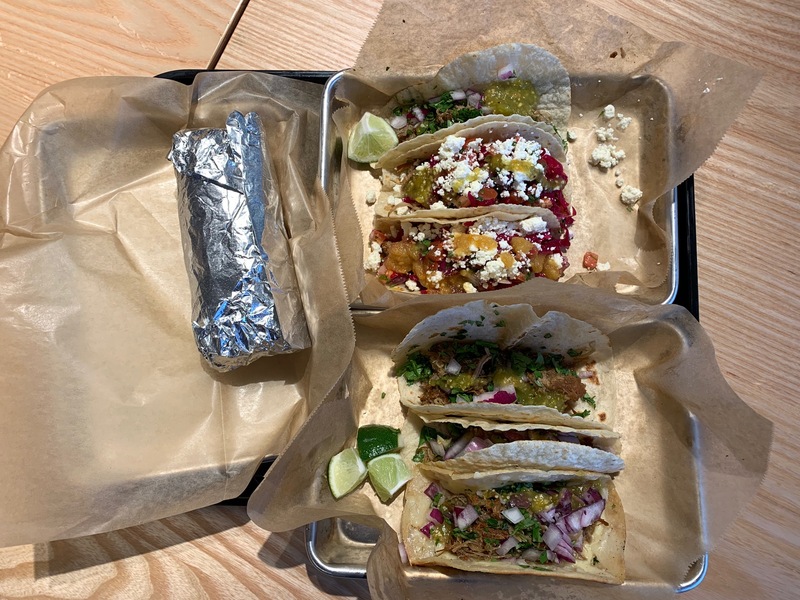 At Poppo’s, customers have the option to build their own taco, burrito, burrito bowl, or quesadilla and the choice to choose from one of five pre-fixed house favorites. All tortillas are pressed from dough form in front of the customer, a fun and impressive display of freshness and quality. Even the tortilla chips are pressed and deep fried in front of the customer as they make their way through the toppings bar, which features original and fresh toppings like jalapeno relish, feta cheese, honey-lime slaw, pickled onions and pico de gallo. To supplement a choice of brown or white rice, the bar’s protein options include ancho chicken, carnitas, morita steak and tempeh. The carnitas meat is very flavorful, adding a tangy and slightly acidic taste to one’s taco, burrito, bowl or quesadilla. Spice-lovers will enjoy Pappo’s morita steak, which is the only spicy protein option available to customers. The most notable characteristic of the food is that it is undeniably fresh, a quality uncommon for most Mexican-food restaurants. “Our mission is to redefine the fast casual food experience, to exceed reasonable expectations, and to do things no one else is doing. We believe the difference can be felt, experienced and tasted,” Poppo’s website said. 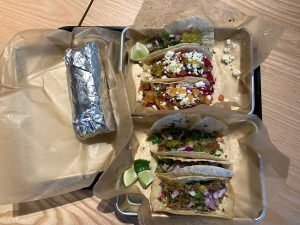 The food is priced reasonably, at $3.50 per custom taco, $7.95 for the custom burrito, and anywhere from $2.95 to $7.95 for one of the five house favorites. Poppo’s Taqueria is located at 1544 Main St, Sarasota, FL 34236, and is open from 11 a.m. to 9 p.m. every day.